I already have a post for you! I've spent the last 2 hours editing all the photos I have saved on my laptop from the past few weeks.. so I have a TON to show you. But for now, let me continue my ABC Challenge. Gah, aren't these just mystifying?! 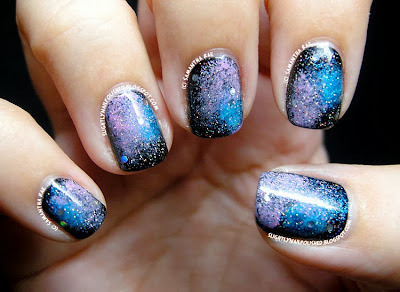 I love, love, LOVE these nails. The micro-glitter is what makes these bad boys really pop. It adds beautiful holographic specks that looks like tiny stars twinkling off in the distance. And in the sun they just glisten. I can't stop looking at them, lol. 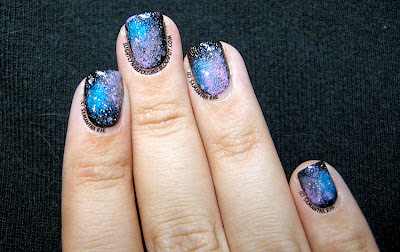 Giving credit when credit is due, I used MissJenFabulous's Galaxy Nails Tutorial to achieve this beautiful look. Gosh, she is amazing! She makes nail art look so easy. 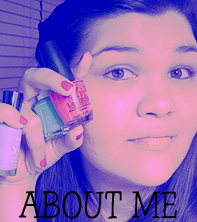 I followed her directions exactly, only substituting similar polishes as I didn't have the exact ones she used. But all-in-all, they look exactly like hers! YAY! I really hope you enjoyed this post. I currently have this design on my nails and I just adore it! When my little sister comes over tonight I'm going to re-create these on her nails too. 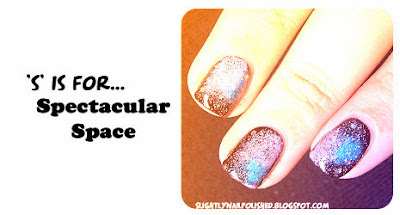 XD Because we all need a little space on our nails!